Is it wrong if I say this story seems like a fix-it for what should have happened in S4, after Dean returned from Hell? Dean, desperate to reclaim his normal, expected everything to go back the way it was before, and Sam shoved all of his problems with that down, letting his issues fester into resentment instead of asking for what he wanted, led to disaster. It's good to see Sam state outright what he wanted, and it felt very in character to me that Dean wouldn't get it at first. With Dean's issues, all he's going to hear is "I don't want you", and let's face it, at first Sam did a fairly bad job of making him feel wanted. That works for Sam, though, because for all his talking he's not any better at telling Dean what he needs without it coming out in a way that's a shot to Dean's heart half the time ( a la Fallen Idols, when "You need to treat me like an equal" came out "I went to Ruby to get away from you"). The difference here is that Sam didn't give up or let Dean hold onto his misconceptions--he kept working at saying what he needed until he got Dean to understand. I really enjoyed that, and Sam has every right to demand what he wanted from the relationship. I guess the only thing I find wanting in his approach is that he didn't seem very open to compromise or very interested in seeking out what Dean needed from the relationship. It seemed that Dean was expected to do all of the bending, fitting himself into his life, and Sam didn't seem that open to changing to meet Dean's needs. Maybe that's because Dean, after just escaping from being on the run for a year, didn't seem to have any issues or any needs, which didn't, admittedly, make much sense to me. The summary said negotiating, but it seemed to me that this story centered around Dean giving in to Sam, just grateful that Sam still wants him around at all. I don't mean this to demean Sam--he has every right to want what he wants and ask for it. I just wonder what happens next, because eventually Dean has to have some issues and demands of his own, either from his purgatory experiences or just for what he wants. Yes, Dean's almost always willing to give into family, but he's an individual, too, and he's got to have some things he wants that Sam's not going to like. Dean is a hunter--what happens when the call becomes too much and he wants to go back? What happens when he really wants his car back, as I can't believe he'd really accept the loss of his car so blithely (or honestly that Sam would really take something he knows Dean loves, just like that. I believe he has the right to ask for joint ownership, but to just state outright that the Impala is his and his alone and Dean just being fine with that. That just didn't work for me)? It can't be as simple as Sam says what he wants, Dean gives in and subverts himself to Sam's lifestyle so Sam will keep him, happily ever after, because then this wouldn't be the two strong men we know, at least in my opinion. So I guess I'm saying what I'd really like to see is the next step in this universe, where Dean is able to step up and assert his own wants and demands, and the boys really deal with each other as equals, not as big brother Dean/little brother Sam or Sam holding all the cards/Dean desperate to stay with Sam. But I really enjoyed the conversations in this story, and I do love the idea of the boys really talking and figuring out how to proceed together. So while I'd really like to see more, I enjoyed reading your story and the thinking it inspired for me. Thank you for sharing. First of all, thank you for such a great and thoughtful comment. Yes, I'd say it could be a sort of fix-it for S4, or maybe for the issues that remained between them from that time. In the way I'm thinking of them in their "established relationship", they've not resolved everything but they have learned some things about how to relate to each other better. I think Sam appearing to not being open to compromise or thinking about what Dean wants is a temporary thing, based on the shock of Dean suddenly reappearing. Give them a few days, maybe a week, and Sam will be all over figuring out what Dean wants. Of course he will, how would he not? You're absolutely right that the summary says they're renegotiating everything, and it is definitely one-sided, maybe this is the first in a two-parter and I should have described this story a little bit better! The second story would be when Sam starts asking what Dean wants, because the Sam that I'm writing here, definitely will do that. I think once he begins questioning Dean about Purgatory, and his experience there, that it would follow from that. Part of that would definitely be renegotiating ownership of the Impala, because of course, Sam wouldn't be selfish like that, he knows what the car means to Dean better than Dean probably does. 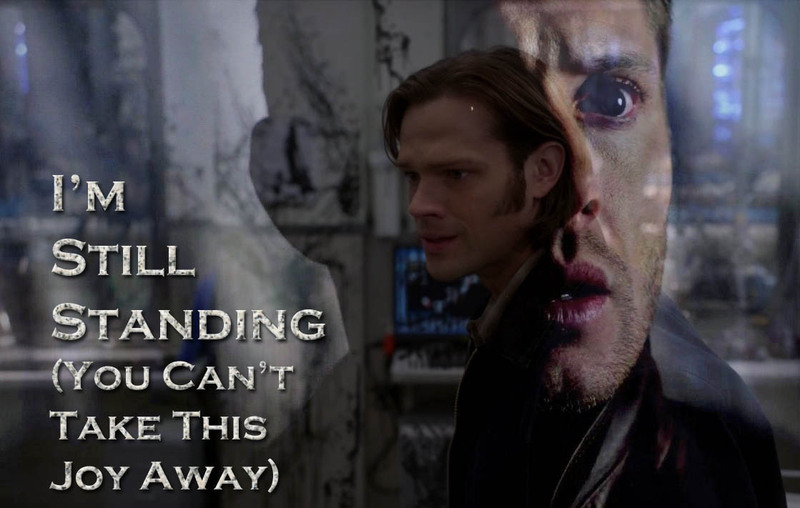 It was just a symbol in my story of Dean showing that he was really truly was willing and open to listening to Sam. Like a token of his gratefulness to be back with him. I think it made him kind of proud in a weird sort of way, that Sam was showing a possessive streak towards his baby finally after all those years. He probably doesn't really know how much the Impala means to Sam (representing their life-long home together, the role it played in stopping Lucifer,etc..). So yeah, it was supposed to be a meaningful symbol that Dean would acquiesce so quickly. Thanks for all your thoughts on the story, I really appreciate it, and how-about I'll work on a follow up so we can see what happens when Dean gets his chance at renegotiating.